Compared to their last album, 'Duality', this time round they've played around with a few more styles, with heavy amounts of pop and RnB influence thrown in there, resulting in a lighter toned album, which feels a lot more fun than the more aggressive, darker tones found on 'Duality'. 'Upside Down' does seem like an apt title for an album that jumps around a bit, switching up musical styles frequently, and it does feel like it lacks some cohesion to it. But then, it's also kind of refreshing to have a lot of variety in there, rather than a dozen tracks that sound the same. And throughout the whole thing, there is beautiful and complex composition to each track, each one meticulously constructed, no matter what style they've gone for, which shows such strong musical talent to the group. The opening track, 'Uncontainable', is a big, confident start, full of a grandeur and determination, and still one of my favourites from the whole album. It's powerful and intense, and is then immediately tempered by several lighter toned tracks next. 'Something New' feels pop punk, and 'Upside Down' is a sunshine-y pure pop track. Both songs have an optimistic tone to them, musically and lyrically, and have lots of jazzy trumpet flares and solos thrown in, all of which establishes the pop influence throughout this record. The lyrics do tend to verge on being overly saccharine at times, but thankfully other tracks are a bit darker. Speaking of, there are a few more serious tracks in there too though, such as 'Tug of War' and 'Admit It', which are moodier and more serious, and play with some more RnB style sounds. 'Want' and 'Crutch' are emotional, melodic songs, with 'Want' having a big, soaring chorus, while 'Crutch' is softer and very lyrical. And then there's a smattering of other tracks with even more musical styles thrown around; 'Life Afraid' has percussion and trumpets that remind me of samba style music, creating a fiesta atmosphere; 'Diamond Girl' is a smooth, swing track, with a big band, old Hollywood sort of feel to it; 'Hypnotised' is harsh and aggressive, with Carson spitting out lyrics, to the point where's he's more or less rapping them; and 'Never Know' kicks off with a strong guitar riff and is one of the rockier tracks on the album. I did find the closer, 'Me w/o Us', to be a bit of an underwhelming end, a pop style song with a simple guitar accompaniment (especially when compared to the huge, orchestral finish to their last album, 'Miss Mysterious'). 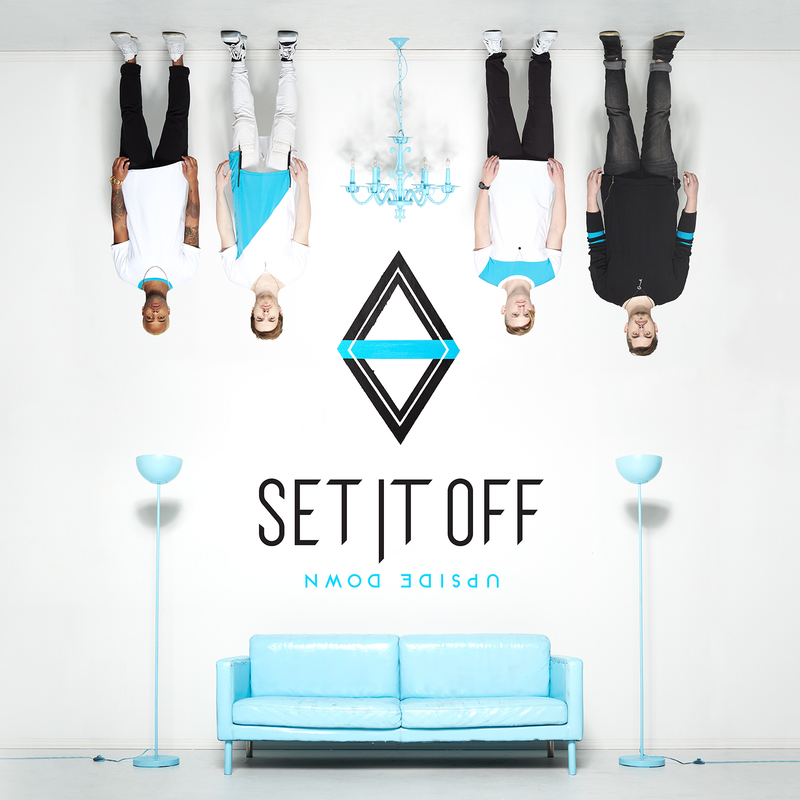 Overall, 'Upside Down' is certainly a ride, with so much going on throughout the record. Yet there isn't a song that feels like there's too much going on; the record as a whole can feel a little disconnected and chaotic, but each individual track is beautifully composed. I like the diversity of styles overall, as it keeps everything fresh, and there aren't really any lulls when listening to the whole thing. It does get a little too pop and too saccharine at times for me; I would prefer a little more of the aggression from 'Duality' to have stuck around, but that's sort of a matter of personal preference though. It's bold and diverse though, and certainly interesting for anyone to check out, whatever style of music you prefer. This post contains a link to the Amazon Affiliate programme and I will receive commission on any purchases.